Linda M. Chatters is a professor in the Department of Health Behavior and Health Education, School of Public Health and professor in the School of Social Work. She is a faculty associate with the Program for Research on Black Americans at the Institute for Social Research and the Center for Research on Ethnicity, Culture and Health. The focus of Dr. Chatters' research is the study of adult development and aging in relation to the mental and physical health status and functioning of older persons in a variety of social contexts (i.e., the family, church, and community). She is also interested in religious involvement among African Americans and the independent effects of religious, personal, and social status factors on personal well-being. Dr. Chatters' research is supported by grants from the National Institute on Aging. Dr. Chatters is a Fellow, Behavioral and Social Sciences Section of The Gerontological Society of America and has been designated by Thomson-ISI as a Highly Cited Researcher in the Category of General Social Sciences. 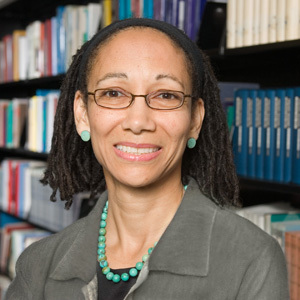 Dr. Chatters co-edited Family Life in Black America (1997) and Aging in Black America (1993) and is co-author of the book, Religion in the Lives of African Americans: Social, Psychological and Health Perspectives (2004). Other areas of research/scholarly interest: family social support networks and intergenerational family relationships, the impact of social support and negative interaction impact on well-being and psychological distress. Recent articles include "Use of complementary and alternative medicines for mental and substance use disorders: A comparison of African Americans, Black Caribbeans, and non-Hispanic Whites" in Psychiatric Services; "Use of clergy services among individual seeking treatment for alcohol use problems" in The American Journal on Addictions; "Demographic correlates of psychological well-being and distress among older African Americans and Caribbean Black adults" in Best Practices in Mental Health: An International Journal; and "Emotional support, negative interaction and DSM IV lifetime disorders among older African Americans: Findings from the National Survey of American Life (NSAL) in International Journal of Geriatric Psychiatry. Religious involvement and well-being, social support networks of adult/elderly African Americans, intergenerational family relations, families and health. Nguyen, A. W., Taylor, R. J., Chatters, L. M., & Hope, M. O. (2019). Church support networks of African Americans: The impact of gender and religious involvement. Journal of Community Psychology. Taylor, H. O., Taylor, R. J., Nguyen, A. W., & Chatters, L. (2018). Social isolation, depression, and psychological distress among older adults. Journal of Aging and Health, 30(2), 229-246. Assari, S., Miller, R. J., Taylor, R. J., Mouzon, D., Keith, V., & Chatters, L. M. (2018). Discrimination fully mediates the effects of incarceration history on psychological distress and depressive symptoms among African American men. Journal of Racial and Ethnic Health Disparities, 5(2), 243-252. Nguyen, A. W., Chatters, L. M., Taylor, R. J., Aranda, M. P., Lincoln, K. D., & Thomas, C. S. (2018). Discrimination, serious psychological distress, and church-based emotional support among African American men across the life span. The Journals of Gerontology: Series B Psychological Sciences, 73(2), 198-207. Weaver, A., Taylor, R. J., Chatters, L. M., & Himle, J. A. (2018). Depressive symptoms and psychological distress among rural African Americans: The role of material hardship and perceived health status. Journal of Affective Disorders, 236, 207-210. Taylor, R. J., Chatters, L. M., & Taylor, H. O. (2018). Race and objective social isolation: Older African Americans, black Caribbeans, and non-Hispanic whites. Journal of Gerontology: Social Sciences. Cross, C. J., Taylor, R. J., & Chatters, L. M. (2018). Family social support networks of African American and Black Caribbean adolescents. Journal of Child and Family Studies, 27, 2757-2771. Cross, C. J., Nguyen, A. W., Chatters, L. M., & Taylor, R. J. (2018). Instrumental social support exchanges in African American extended families. Journal of Family Issues, 39, 3535-3563. Cross, C. J., Taylor, R. J., & Chatters, L. M. (2018). Ethnic and gender differences in family social support among black adolescents. Healthcare, 6(1), 20. Chatters, L. M., Taylor, H. O., Nicklett, E. J., & Taylor, R. J. (2018). Correlates of objective social isolation from family and friends among older adults. Healthcare, 6, 24. Valera, P., Taylor, R. J., & Chatters, L. M. (2018). The relationship between health, cigarette smoking and criminal justice contact among African Americans. In M. A. Bruce, & D. F. Hawkins (Eds. ), Inequality, crime, and health among African American males (Research in Race and Ethnic Relations, Volume 20), (pp. 35-52). Bingley UK: Emerald Publishing Limited. Taylor, R. J., Forsythe-Brown, I., Lincoln, K. D. & Chatters, L. M. (2017). Extended family support networks of Caribbean black adults in the United States. Journal of Family Issues, 38(4), 522-546. Nguyen, A. W., Chatters, L. M., Taylor, R. J., Levine, D. S., & Himle, J. A., Vogel, P. A., & Himle, J. A. (2017). Family, friends, and 12-Month PTSD among African Americans. Social Psychiatry and Psychiatric Epidemiology, 51, 1149-1157. Mouzon, D. M., Taylor, R. J., Keith, V. M., Nicklett, E. J., & Chatters, L. M. (2017). Discrimination and psychiatric disorders among older African Americans. International Journal of Geriatric Psychiatry, 32, 175-182. Himle, J. A., Taylor, R. J., Nguyen, A. W., Williams, M. T., Lincoln, K. D., Taylor, H. O., & Chatters, L. M. (2017). Family and friendship networks and obsessive-compulsive disorder among African Americans and Black Caribbeans. The Behavior Therapist, 40(30), 99. Taylor, R. J., Chatters, L. M., Lincoln, K. D., & Woodward, A. T. (2017). Church-based exchanges of informal social support among African Americans. Race and Social Problems, 9(1), 53-62. Nguyen, A. W., Taylor, R. J., Chatters, L. M., Taylor, H. O., Lincoln, K. D., & Mitchell, U. A. (2017). Extended family and friendship support and suicidality among African Americans. Social Psychiatry and Psychiatric Epidemiology, 52, 299-309. Mouzon, D. M., Taylor, R. J., Woodward, A. T., & Chatters, L. M. (2017). Everyday racial discrimination, everyday non-racial discrimination, and physical health among African Americans. Journal of Ethnic and Cultural Diversity in Social Work, 26(1-2), 68-80. Williams, M. T., Taylor, R. J., Mouzon, D. M., Oshin, L. A., Himle, J. A., & Chatters, L. M. (2017). Discrimination and symptoms of obsessive compulsive disorder among African Americans. The American Journal of Orthopsychiatry, 87, 636-645. Forsythe-Brown, I., Taylor, R. J., Chatters, L. M., Govia, I. O., Matusko, N., & Jackson, J. S. (2017). Kinship support in Jamaican families in the United States and Jamaica. Journal of African American Studies, 21, 187-202. Thornton, M. C., Taylor, R, J., Chatters, L. M. & Forsythe-Brown, I. (2017). African American and Black Caribbean feelings of closeness to Africans: Findings from the National Survey of American Life. Identities: Global Studies in Culture and Power, 23, 493-512. Taylor, R. J., Forsythe-Brown, I., Mouzon, D. M., Keith, V. M., Chae, D. H., & Chatters, L. M. (2017). Prevalence and correlates of everyday discrimination among Black Caribbeans in the United States: The impact of nativity and country of origin. Ethnicity and Health 1-21. Williams, M., Taylor, R. J., Himle, J. A., & Chatters, L. M. (2017). Demographic and health-related correlates of obsessive-compulsive symptoms among African Americans. Journal of Obsessive-Compulsive and Related Disorders, 14, 119-116. Groden, S. R., Woodward, A. T., Chatters, L. M., & Taylor, R. J. (2017). Use of complementary and alternative medicine among older adults: differences between baby boomers and pre-boomers. The American Journal of Geriatric Psychiatry, 25(12), 1393-1401. Chatters, L. M., Forsythe-Brown, I., & Taylor, R. J. (2017). Informal social support networks and black Americans. In V. Copeland (Ed. ), Contemporary Issues of People of Color: Living, Working, and Learning in the U.S.
Nguyen, A. W., Chatters, L. M., Taylor, R. J., & Mouzon, D. M. (2016). Social support from family and friends and subjective well-being of older African Americans. Journal of Happiness Studies, 17(3), 959-979. Mouzon, D. M., Taylor, R. J., Nguyen, A. W., & Chatters, L. M. (2016). Serious psychological distress among African Americans: Findings from the National Survey of American Life. Journal of Community Psychology, 44(6), 765-780. Yoon, H., Chatters, L., Kao, T. S, Saint-Arnault, D., & Northouse, L. (2016). Factors affecting quality of life for Korean American cancer survivors. Oncology Nursing Forum, 43(3), E132-E142. Nguyen, A. W., Chatters, L. M., & Taylor, R. J. (2016). African American extended family and church‐based social network typologies. Family Relations, 65(5), 701-715. Nguyen, A. W., Taylor, R. J., & Chatters, L. M. (2016). Church-based social support among Caribbean Blacks in the United States. Review of Religious Research, 58(3), 385-406. Taylor, R. J., Taylor, H. O., & Chatters, L. M. (2016). Social isolation from extended family members and friends among African-Americans: Findings from a national survey. Journal of Family Social Work, 19, 443-461. Taylor, R. J., Mouzon, D. M., Nguyen, A. W., & Chatters, L. M. (2016). Reciprocal family, friendship and church support networks of African Americans: Findings from the National Survey of American Life. Race and Social Problems, 8(4), 326-339. Brown, R. K., Taylor, R. J., & Chatters, L. M. (2015). Race/Ethnic and social-demographic correlates of religious non-involvement in America: Findings from three national surverys. Journal of Black Studies, 46, 335-362. Taylor, R. J., Chae, D. H., Lincoln, K. D. & Chatters, L. M. (2015). Extended family and friendship support networks are both protective and risk factors for major depressive disorder, and depressive symptoms among African Americans and Black Carribbeans. Journal of Nervous and Mental Disease, 203(2), 132-140. Woodward, A. T., Chatters, L. M., Taylor, H. O. & Taylor, R. J. (2015). Professional service use for a serious personal problem: Comparing older African Americans, Black Caribbeans, and non-Hispanic Whites using the National Survey of American Life. Journal of Aging and Health, 27, 755-774. Levine, D. S., Taylor, R. J., Nyugen, A., Chatters, L. M., & Himle, J. A. (2015). Family and friendship informal support networks and social anxiety disorder among African Americans and black Caribbeans. Social Psychiatry and Psychiatric Epidemiology, 50, 1121-1133. Chatters, L., Taylor, R. J., Woodward, A., & Nicklett, E. J. (2015). Social support from church and family members and depressive symptoms among older African Americans. American Journal of Geriatric Psychiatry, 23, 559-567. Taylor, R. J., Forsythe-Brown, I., Taylor, H. O., & Chatters, L. M. (2014). Patterns of emotional social support and negative interactions among African American and Black Caribbean extended families. Journal of African American Studies, 18(2), 147-163. Taylor, R. J., Chatters, L. M., & Brown, R. K. (2014). African American religious participation. Review of Religious Research, 56(4), 513-538. Joe, S., Ford, B. C., Taylor, R. J., & Chatters, L. M. (2014). Prevalence of suicide ideation and attempts among Black Americans in later life. Transcultural Psychiatry, 51, 190-208. Peterson, T. L., Chatters, L. M., Taylor, R. J., & Nguyen, A. W. (2014). Subjective well-being of older African Americans with DSM IV psychiatric disorders. Journal of Happiness Studies, 15, 1179-1196. Taylor, R. J., Hernandez, E., Nicklett, E., Taylor H. O., & Chatters, L. M. (2013). Informal social support networks of African American, Hispanic, Asian American, and Native American older adults. In K. E. Whitfield and T. A. Baker (Eds. ), Handbook of Minority Aging 417-434. New York, NY: Springer. Nguyen, A. W., Taylor, R. J., Chatters, L. M., Ahuvia, A., Izberk-Bilgin, E., & Lee, F. (2013). Mosque-based emotional support among young Muslim Americans. Review of Religious Research, 55(4), 535-555. Lincoln, K. D., Taylor, R. J., & Chatters, L. M. (2013). Correlates of emotional support and negative interaction among African Americans and Caribbean Blacks. Journal of Family Issues, 34, 1262-1290. Brown, R. K., Taylor, R. J., & Chatters, L. M. (2013). Religious non-involvement among African Americans, Black Caribbeans and non-Hispanic whites: Findings from the National Survey of American Life. Review of Religious Research, 55, 435-457. Taylor, R. J., Chatters, L. M., Woodward, A. T., & Brown, E. (2013). Racial and ethnic differences in extended family, friendship, fictive kin and congregational informal support networks. Family Relations, 62, 609-624. Taylor, R. J., Nguyen, A. W., Sinkewicz, M., Joe, S., & Chatters, L. M. (2013). Co-morbid mood and anxiety disorders, suicidal behavior and substance abuse among Black Caribbeans in the United States. Journal of African American Studies, 17(4), 409-425. Taylor, R. J., Chatters, L. M., & Nguyen, A. (2013). Religious participation and DSM IV Major Depressive Disorder among Black Caribbeans in the United States. Journal of Immigrant and Minority Health, 15, 903-909. Nguyen, A., Taylor, R. J., Peterson, T., & Chatters, L. M. (2013). Health, disability, psychological well-being and depressive symptoms among older African American women. Women, Gender, and Families of Color, 1, 105-123. Thornton, M. C., Taylor, R. J., & Chatters, L. M. (2013). African American and Black Caribbean mutual feelings of closeness: Findings from a national probability survey. Journal of Black Studies, 44, 798-828. Chatters, L. M., Nguyen, A. W., & Taylor, R. J. (2013). Religion and spirituality among older African Americans, Asians, and Hispanics. In K. E. Whitfield and T. A. Baker (Eds. ), Handbook of Minority Aging. New York: Springer. Lincoln, K. D., Chatters, L. M., & Taylor, R. J. (2013). Church-based negative interactions among older African Americans, Caribbean blacks and non-Hispanic whites. In M. Silverstein & R. Giarrusso (Eds. ), Kinship and Cohort in an Aging Society: From Generation to Generation. Johns Hopkins University Press. Lincoln, K. D., Taylor, R. J., Chatters, L. M., & Joe S. (2012). Suicide, negative interaction and emotional support among Black Americans. Social Psychiatry and Psychiatry Epidemiology, 47, 1947–1958. Himle, J. A., Taylor, R. J., & Chatters, L. M. (2012). Religious involvement and obsessive compulsive disorder among African Americans and Black Caribbeans. Journal of Anxiety Disorders, 26, 502-510. Taylor, R. J., Chatters, L. M. & Abelson, J. M. (2012). Religious involvement and DSM-IV 12-month and lifetime major depressive disorder among African Americans. Journal of Nervous and Mental Disease, 200(10), 856-862. Taylor, R. J., Brown, E., Chatters, L. M. & Lincoln, K. D. (2012). Extended family support and relationship satisfaction among married, cohabitating and romantically involved African Americans and Black Caribbeans. Journal of African American Studies, 16, 373-389. Aranda, M. P., Chae, D. H., Lincoln, K. D., Taylor, R. J., Woodward, A. T. & Chatters, L. M. (2012). Demographic correlates of DSM-IV major depressive disorder among older African Americans, Black Caribbeans, and non-Hispanic Whites: results from the National Survey of American Life. International Journal of Geriatric Psychiatry, 27(8), 940-947. Woodward, A. T., Taylor, R. J., Bullard, K. M., Aranda, M. P., Lincoln, K. D. & Chatters, L. M. (2012). Prevalence of lifetime DSM-IV affective disorders among older African Americans, Black Caribbeans, Latinos, Asians and Non-Hispanic White people. International Journal of Geriatric Psychiatry, 27(8), 816-827. Taylor, R. J., Chae, D. H., Chatters L. M., Lincoln, K. D. & Brown, E. (2012). DSM-IV 12-month and lifetime major depressive disorder and romantic relationships among African Americans. Journal of Affective Disorders, 142, 339-342. Thorton, M. C., Taylor, R. J., & Chatters, L. M. (2012). African American, Black Caribbean, and non-Hispanic White feelings of closeness toward other racial and ethnic groups. Journal of Black Studies, 43, 749-772. Chatters, L. M., Mattis, J. S., Woodward, A. T., Taylor, R. J., Neighbors, H. W., & Grayman, N. A. (2011). Use of ministers for serious personal problems among African Americans. American Journal of Orthopsychiatry, 81(1), 118-127. Levin, J., Chatters, L. M., & Taylor, R. J. (2011). Theory in religion, aging, and health: An overview. Journal of Religion and Health, 50(2), 389-406. Taylor, R. J., Chatters, L. M., & Joe, S. (2011). Non-organizational religious participation, subjective religiosity, and spirituality among older African Americans and Black Caribbeans. Journal of Religion and Health, 50(3), 623-645. Lincoln, K. D., Taylor, R. J., Watkins, D. C., & Chatters, L. (2011). Correlates of psychological distress and major depressive disorder among African American men. Research on Social Work Practice, 21(3), 278-288. Himle, J. A., Chatters, L. M., Taylor, R. J., & Nguyen, A. (2011). The relationship between obsessive-compulsive disorder and religious faith: Clinical characteristics and implications for treatment. Psychology of Religion and Spirituality, 3(4), 241-258. Levin, J. S. Taylor, R. J. & Chatters, L. M. (2011). Prevalence and sociodemographic correlates of spiritual healer use: Findings from the National Survey of American Life. Complementary Therapies in Medicine, 19(2), 63-70. Woodward, A. T., Taylor, R. J., & Chatters, L. M. (2011). Use of professional and informal support by African American and Black Caribbean men with a mental disorder. Research on Social Work Practice, 21(3), 328-336. Chatters, L. M., Taylor, R. J., Lincoln, K. D., Nguyen, A., & Joe, S. (2011). Church-based social support and suicidality among African Americans and Black Caribbeans. Archives of Suicide Research, 15(4), 337-353. Taylor, R. J., Woodward, A. T., Chatters, L. M., Mattis, J. S., & Jackson, J. S. (2011). Seeking help from clergy among Black Caribbeans in the United States. Race and Social Problems, 3, 244-251. Taylor, R. J., Chatters, L. M., & Joe, S. (2011). Religious involvement and suicidal behavior among African Americans and Black Caribbeans. Journal of Nervous and Mental Disease, 199(7), 478-486. Lincoln, K. D., Chatters, L. M., & Taylor, R. J. (2010). Church-based negative interaction among older African Americans, Caribbean Blacks and non-Hispanic Whites. In M. Silverstein & R. Giarrusso (Eds. ), From Generation to Generation: Continuity and Discontinuity in Aging Families. Johns Hopkins Press. Lincoln, K. D., Taylor, R. J., Bullard, K. M., Chatters, L. M., Himle, J. A., & Woodward, A. T. (2010). Emotional support, negative interaction and DSM IV lifetime disorders among older African Americans: Findings from the National Survey of American Life (NSAL). International Journal of Geriatric Psychiatry, 25(6), 612-621. Lincoln, K. D., Taylor, R. J., Chae, D. H., & Chatters, L. M. (2010). Demographic correlates of psychological well-being and distress among older African Americans and Caribbean Black adults. Best Practices in Mental Health, 6, 103-126. Taylor, R. J., Chatters, L. M., Mattis, J. S., & Joe, S. (2010). Religious involvement among Caribbean blacks in the United States. Review of Religious Research, 52(2), 125-145. Bohnert, A. S. B., Perron, B. E., Jarman, C. N., Vaughn, M. G., Chatters, L. M., & Taylor, R. J. (2010). Use of clergy services among individuals seeking treatment for alcohol use problems. American Journal of Addictions, 19(4), 345-351. Taylor, R. M., & Chatters, L. M. (2010). Religious media use among African Americans, Black Caribbeans, and Non-Hispanic Whites: Findings from the National Survey of American Life. Journal of African American Studies. Chatters, L. M., Taylor, R. J., Bullard, K. M., & Jackson, J. S. (2009). Race and ethnic differences in religious involvement: African Americans, Caribbean Blacks and Non-Hispanic Whites. Ethnic and Racial Studies, 32, 1143-1163. Taylor, R. J., Chatters, L. M., Bullard, K. M., Wallace, J. M., & Jackson, J. S. (2009). Organizational religious behavior among older African Americans: Findings from the National Survey of American Life. Research on Aging, 31, 440-462. Taylor, R. J., Chatters, L. M., & Jackson, J. S. (2009). Correlates of spirituality among African Americans and Caribbean Blacks in the United States: Findings from the National Survey of American Life. Journal of Black Psychology, 35, 317-342. Woodward, A. T., Bullard, K. M., Taylor, R. J., Chatters, L. M., Baser, R. E., & Perron, B. E. (2009). Use of complementary and alternative medicines for mental and substance use disorders: A comparison of African Americans Black Caribbeans, and non-Hispanic Whites. Psychiatric Services, 60(190), 1342-1349. Levin, J. S., & Chatters, L. M. (2008). Religion, aging, and health: Historical perspectives, current trends, and future directions. Journal of Religion, Spirituality and Aging, 20(1/2), 153-172. Chatters, L. M., Taylor, R. J., Lincoln, K. D., & Jackson, J. S. (2008). Religious coping among African Americans, Caribbean Blacks, and non-Hispanic Whites. Journal of Community Psychology, 36(3), 371-386. Bryant, C. M., Taylor, R. J., Lincoln, K. D., Chatters, L. M., & Jackson, J. S. (2008). Marital satisfaction among African Americans and Black Caribbeans: Findings from the National Survey of American Life. Family Relations, 57(2), 239-253. Woodward, A. T., Taylor, R. J., Neighbors, H. W., Chatters, L. M., & Jackson, J. S. (2008). The use of professional services and informal support by African Americans and Caribbean blacks with mental disorders. Psychiatric Services, 59(11), 1292-1298. Chatters, L. M., Taylor, R. J., Bullard, K. M., & Jackson, J. S. (2008). Spirituality and subjective religiosity among African Americans, Caribbean blacks, and non-Hispanic whites. Journal for the Scientific Study of Religion, 47(4), 725-737. Chatters, L. M., Taylor, R. J., Bullard, K. M., & Jackson, J. S. (2008). Spirituality and subjective religiosity among African Americans, Black Caribbeans and Whites. Journal for the Scientific Study of Religion, 47, 725-737. Chatters, L. M., Bullard, K. M., Taylor, R. J., Woodward, A. T., Neighbors, H. W., & Jackson, J. S. (2008). Religious participation and DSM-IV disorders among older African Americans: Findings from the National Survey of American Life (NSAL). American Journal of Geriatric Psychiatry, 16, 957-965.